Based in Essex, UK, Budget Windscreens offer a windscreen replacement service to their customers via their mobile fleet of service units. Budget have grown from a single van operation into one of the largest privately owned windscreen replacement companies in the UK. From small cars to road-sweepers, Budget aim to provide Insurance Approved windscreen solutions for all types of vehicles. The Windscreen Management Solution (WMS) has been designed specifically for the windscreen industry. The solution means that Budget Windscreens can send job information and manage fitters’ workloads without the need to rely on voice communications or faxing paperwork. 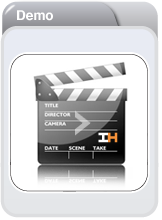 Previously Budget Windscreens has used a manual system to record, allocate, complete and invoice jobs. This has resulted in a large amount of duplication of effort throughout the processes. This manual solution required fitters to manually fill out paperwork and pass this back to head office at regular intervals, therefore leading to a delay in invoicing, as well as illegible handwriting making it hard to invoice. Looking to increase the size of the business without unnecessarily increasing operating costs, Budget Windscreens looked to Ideal Host to provide an easy to use, efficient system. 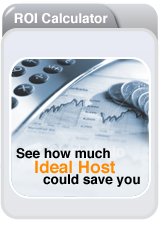 Ideal Host has achieved this using the WMS product created specifically for the industry. This allows processes to be streamlined, making the cradle to grave process of a job as effective and timely as possible. All job information is automatically sent to the fitter via a PDA device. Once completed, the direct link with Sage means that invoices are posted electronically with no need for manual entry into Sage. WMS has allowed greater scope for reporting, and for information to be pulled at the click of a button, allowing staff to concentrate on the core of the business.